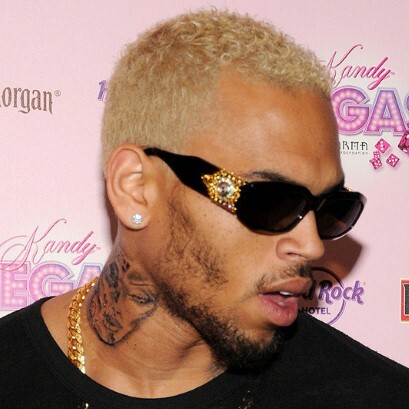 Chris Brown has been accused of assaulting a woman in a nightclub. Deanna Gines claims the 24-year-old singer ? who’s currently on probation for beating up his then girlfriend Rihanna in 2009 ? shoved her to the ground at the Heat Ultra Lounge in Anaheim, California, where he’d just performed, causing her to tear ligaments in her right knee. According to gossip site TMZ, she “filed a police report, and a rep for the Anaheim police department says a female did indeed file a report for assault inside the club, but the rep won’t disclose the name. Cops are investigating”. Meanwhile, Chris is said to be locked in a dispute with prosecutors over a community service order given to him as part of his probation requirements. After pleading guilty to assault, Chris was sentenced to 180 days of community work in his home state of Virginia, but the Los Angeles County district attorney’s office has accused him of misreporting which days he did his work. A source said, “Chris thinks the district attorney’s wild accusations about faking his community service were way off the mark. A probation violation hearing has now been set for 15 July, which Chris will also have to attend. The probation hearing isn’t the only legal trouble Chris currently faces. He’s still under a criminal battery investigation after an altercation outside a studio with Frank Ocean earlier this year, even though the singer didn’t press charges against him. The Turn up the Music star is also being investigated for an alleged hit-and-run incident, which took place in Beverly Hills last month.